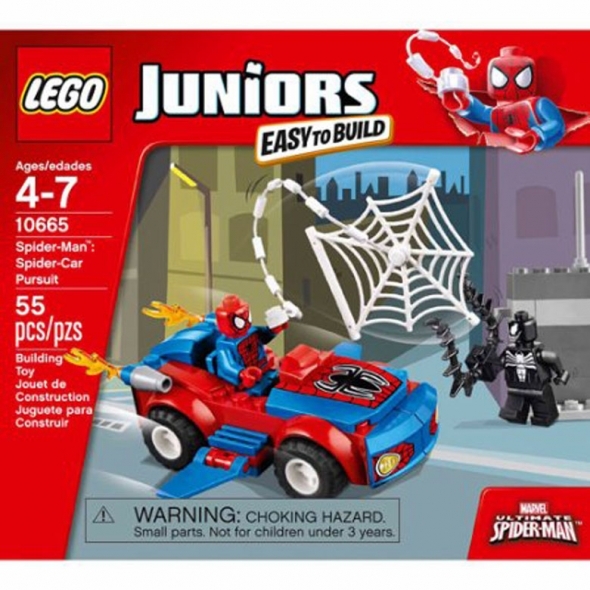 The LEGO Juniors Spider-Man: Spider-Car Pursuit 10665 includes two mini-figures with assorted weapons as well as the Spider-Car. Your Spider-Man fan can develop building skills while fighting crime with this fun LEGO set designed just for small hands. Capture Venom in the spider web!